Yoshiko Sato, architect and educator, died on Sunday February 5th at the age of 51 in New York City. The cause of death was cancer according to Michael Morris, her husband and design partner of 27 years. Ms. Sato, a native of Tokyo, was the daughter of the late Hideo Sato, a chemical engineer whose work specialized in helium, and Cheiko Sato, an internationalist who studied art, design and literature in Tokyo before becoming a homemaker, as was the custom at the time. Always adventurous, Sato left Japan soon after completing her Fine Arts degree in Tokyo to pursue her creative dreams and ambitions that, in many ways, embodied her parents’ scientific and artistic interests. Following a tour of Europe investigating a life of possibilities in the worlds of art and design, Sato settled in New York City, attracted to the city’s raw energy of the early 1980’s. 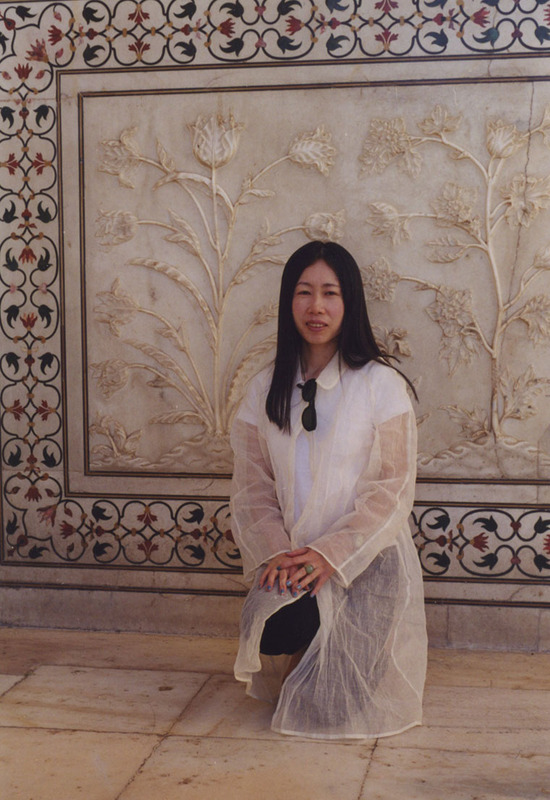 Initially studying at the Parsons School of Design, Yoshiko’s instructors, including Billie Tsien, Robert McAnulty, and Laurie Hawkinson, recognized her talents and encouraged her to switch to architecture. Transferring to The Cooper Union for the Advancement of Science and Art, Ms. Sato excelled in her studies under the late Deans John Hejduk and Richard Henderson, and Professors Tod Williams, Ricardo Scofidio, Toshiko Mori, Peter Eisenman, and Diana Agrest. She graduated with high honors in 1989 receiving multiple awards for a foundational thesis project that focused on a study of the Moon. She went on to receive a Master of Architecture with distinction from the Harvard Graduate School of Design in 1996 where she explored urban design and architecture under Rafael Moneo. Harvard honored Sato as the best design student for her thesis on rebuilding Kobe, Japan after the earthquake that struck that city in 1995. Yoshiko soon returned to New York to establish the Morris Sato Studio with her husband. As Morris Sato Studio, she completed a broad range of scales in cross-disciplinary pursuits and collaborative projects straddling architecture, art, and design that brought international recognition as one of the rising talents of her generation. Ms. Sato’s remarkable sensibility for the ethereal found expression in their award winning design for the retrospective exhibition of “Shiro Kuramata 1934-1991” (www.morrissato.com/kuramata.htm) and in their traveling installation “LightShowers” (www.youtube.com/watch?v=Lr4XR9ezu64). In 2002 the Morris Sato Studio received the Home of the Year Award from Architecture Magazine for the Winter House and Studio (www.morrissato.com/winter.htm) in Falls Village, Connecticut. Morris Sato’s work reached its most personal and comprehensive exploration in a pair of recently completed houses on Shelter Island (www.morrissato.com/shelter_island_houses.htm). Morris Sato Studio design portfolio extended to the permanent display of the exhibition, archives, and executive suites for the American Express Company in New York and showrooms, offices, and trade show pavilions for the DuPont Company. Sato and Morris’ work with DuPont resulted in a series of ongoing assignments to re-imagine spaces and products for health care facilities and that most recent work included a suite of patient care rooms. As an educator, Ms. Sato’s commitment was to repairing the world through design. Teaching allowed Yoshiko to pursue her most wide-ranging interests. Appointed in 1999 at Columbia University’s Graduate School of Architecture, Planning, and Preservation, Yoshiko continued to teach and to serve as the director of the Japan Lab in Architecture at Columbia until she was recently overtaken by her illness. Yoshiko’s teachings ranged from sustainable design to a longstanding passion – the architecture of outer space. At Columbia and with Morris Sato Studio, Yoshiko led research and project investigations for developing Space Habitation Modules with participation from NASA, international scientists, engineers, artists and others. Her space research at Columbia included collaborating with the late Eiko Ishioka on key costumes for the 2008 Beijing Olympics opening ceremony. In June 2009 she was selected to present her team and students work at The International Humans in Space Conference in Moscow, Russia. Though Yoshiko had settled into the architecture culture of New York City, her link to Japan remained strong. In the aftermath of September 11th, Sato authored several articles for leading Japanese newspapers as well as the article “Remediating Earth” in the publication Renewing, Remembering, Rebuilding that bridged the collapse of the World Trade Center Towers and the Kobe earthquake. In addition to her husband, Ms. Sato is survived her mother and her sister Noriko Oguri of Yokohama, Japan. Those who wish to honor the memory of Yoshiko Sato may donate to the Japanese Red Cross Society.